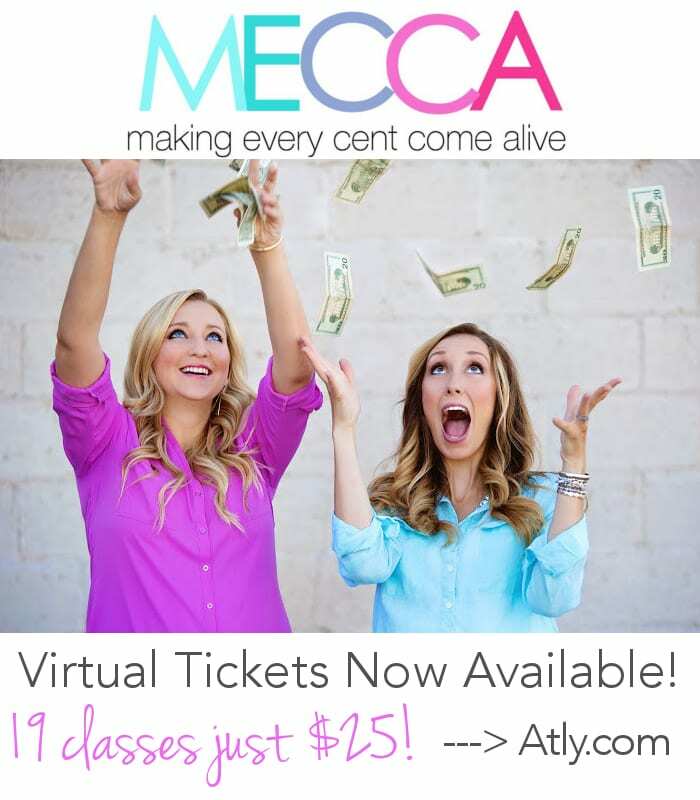 MECCA Virtual tickets are now available! MECCA was the most amazing money-saving conference in the history of the planet (if I do say so myself). Melea and I pulled out all the stops. We hand-picked an incredible lineup of speakers that spoke on the widest variety of topics we could think of (see below for the full lineup and descriptions)..
We are sensitive to the fact that it was next to impossible for many of you to make it physically to the conference, so we had the entire day professionally recorded, and have posted all 19 classes on Atly.com for you to learn from and enjoy! The 7 Bank Accounts Your Family Should Have: Most families have two bank accounts: checking, and savings. Have you ever considered the thought that the MORE accounts you have, the MORE organized you are with your money, and the easier your finances become? It’s true! Jordan will show you how with this life-changing principle that has gone viral online for over 2 years. JORDAN PAGE: Is owner and creator of FunCheapOrFree.com, and co-creator of MECCA. Her down to earth, no-holds-barred writing style and easy to follow finance principles have made her a household name in the “everyday finance” category. Mortgage Do's and Dont's, Raising Credit Scores and Getting Out of Debt: In this class, Melea will share how her family got out of $40K debt and, and RANLife Home Loans will teach you the fundamentals of buying a home or refinancing, what you can do to save on your payment. RANLife Home Loans & Real Estate is a local company who services their own loans and prides themselves in a phenomenal customer experience. Almost 100 mortgage loans have been completed for Freebies2Deals readers through RANLife over the past few years. MELEA JOHNSON: Is a Best Selling Author, MECCA co-creator, and expert behind the blog, Freebies2Deals.com. When she isn't running the blog or taking care of kiddos, she loves to travel, spend time in the Summer sun and escape by watching her favorite TV shows on DVR. How to Talk About Money Without Killing Each Other: Let's face it…communication is hard work! This class will cover core communication strategies to help you tackle the “big talks” in life, address and repair common communication pitfalls, and discuss healthy ways to break past the “log jams” of mutual goal-setting. KIRK VOSS: Is a Licensed Marriage and Family Therapist who works with individuals, couples, and families in addressing a variety of emotional and mental health issues, and is the Clinical Director of Amber Creek Counseling & Psychiatry in Sandy, UT. The 5 Best Kept Secrets of the Wealthy: Have you ever wondered how the wealthy became wealthy in the first place? Hint…it’s not always because they make lots of money! Learn the 5 simple secrets that ANYONE can do to make their money work for them, legally avoid taxes, invest without losing money, and retire financially secure…just like the wealthy. LIFE1010: Is a financial education organization focusing on concepts that should be taught in school, but are often learned in the school of hard knocks. Their courses are a blend of money comprehension/management tools to help you learn to master your money. The Simplest Budgeting Technique…EVER! : We all hate that dreaded “B” word…until now, that is! Jordan Page will teach us the ins and outs of her incredibly simple, functional, and effective budgeting technique that has worked for hundreds of thousands of people, and played a big part in getting her family get out of over $10K in credit card debt in just one year! When Your Paycheck Isn’t Enough: You’ve tightened your belt, cut corners, downsized and reduced…but you still have trouble making ends meet or feel like there is never money left over. What then? This class will teach you to get hired, promoted, find a higher-paying job, or make money on the side to fix that problem of when your paycheck just isn’t enough! Bubba Page: Is an award-winning entrepreneur, Huffington Post and INC.com contributor, and is the husband of Jordan Page. He will be sharing his experience as a boss, employee, and business owner to teach the things your boss doesn’t tell you! Real Time Tricks to Manage Your Life and Get More Done: Managing your time is just as important as managing your money. In this interactive class, Nicole will share real strategies to help you increase productivity & maximize your time – even with little kiddos at your feet. You will leave with new ideas and tools you can go home with and implement immediately! NICOLE CARPENTER: Is a mentor, speaker and founder of MOMentity.com, a blog and online community for mothers. She is a columnist for Family Focus on KSL.com and the creator of the Define Your Time™ time-management course that helps women manage their time and life! How to Cut Your Grocery Bill in Half…With or Without Coupons: Did you consider that aside from your mortgage, you most likely spend most of your money on GROCERIES? Learn from Melea and Jordan as they share their secrets to cutting your grocery bill in half, and how to feed your family for a fraction of your current cost…with or without coupons! Dating on a Dime – Ten Fun, Creative, and Cheap Date Ideas to Keep the Love Alive! : Who wouldn’t want to stay on their honeymoon the rest of their lives? Well you can, and it doesn't have to break the bank! Romancing your spouse on a budget is not as hard as you think. Tara will be sharing 10 fun, creative and CHEAP ideas that you can instantly apply to your relationship…and there just might be some fun surprises! TARA CARSON: Is the founder and owner of the popular website, The Dating Divas, where they share thousands of date ideas to keep the love burning bright! Everything the Divas do is fueled by their motto – “Strengthening Marriage, One Date At A Time!”. Teaching Your Kids About Money and Work…The Right Way: Why do kids learn about math, english, and history, in school…but not money? With a generation so used to getting what they want now and paying for it later it can add up to a pretty scary financial future. So where to start? Come learn how to teach your kids & teens about money and work the right way. Paul & Camille Walker: Paul has been a practicing CPA for over 10 years, and Camille is a former High School Family Finance Teacher and blogger at MyMommyStyle.com. They have created kidsfamilyfinance.com as the ultimate resource for parents to teach their kids about money. Meal Planning Made Easy: In this class Liz will be featuring demos of French Baguettes, Pizza dough, and a 15min healthy soup recipe! She will also show how making a meal plan will take the stress out of dinner, save you money, and bring your family together. Dinner will become your most favorite time of day! Liz Edmunds: Has a passion for helping families learn the importance of family dinnertime which led to her nickname, “The Food Nanny”. As host of the TV show, “The Food Nanny”, she travels the world teaching her tricks for bringing your family together at dinnertime. She now enjoys blogging at Blondy's Kitchen where she continues to share amazing recipes. Shopping 101: How to Score the Best Deals Online and In Stores: What if you could get your shopping done online, without the hassle of going to the store and packing up the kids? Melea Johnson will teach us all about the basics of shopping online and what tricks to know for shopping in-store. Shopping can be fun when you find an awesome deal. And she will show us how to ALWAYS find one in this class. How to Make Homemade Cleaners for Pennies: Learn how to make your own environmentally-friendly, natural cleaning products for a fraction of the price of the store-bought brands…and they work even BETTER! 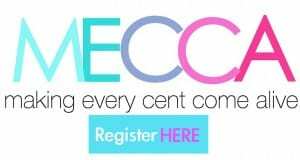 Help your budget, help the environment, and get your home cleaner than ever before with this innovative and demonstrative class. Jill Nystul: Launched OneGoodThingByJillee.com in 2011 on a simple premise – to sort through the clutter of life and share one good thing with our readers each day. Millions of people now look to OGT each month for tips on living a more frugal and healthy life. Budgeting for Beauty: When to Splurge & When to Save…Plus the Inside Tricks to Doing it all Beautifully: This class will recommend beauty products, tools & services that are best for splurging and those that are best for saving. Plus the top brands, stores, and online shopping destinations recommended for savings when it comes to all things beauty. Megan Moore: Owns the hair salon Moore Hair Design in Salt Lake City, and has been in the beauty industry over 13 years. Her beauty blog, TheBeautySnoop.com is nationally acclaimed- and in 2014 was named a Top Beauty Blog of the Year by Allure Magazine. When to DIY and When To Buy: Ever had the thought, “I bet I could make that…” Chances are you can! But is it worth it? We'll go over how to know if a project is worth tackling or if it would be cheaper to just buy it. The Crafting Chicks: Jamie and Nikkala are part of the highly successful blog, The Crafting Chicks! They love sharing crafts, recipes, and other fun tips and ideas to help inspire you to CREATE your life! Saving Money On Travel: During this class, Melea Johnson will talk about how to save on airfare, how to find the best deals on hotels, tricks to saving on food, and what items to splurge on. If you have wanted to go to Disneyland, this class is for you…be prepared for Disney tips galore! Buying in Bulk: How to Shop at Costco Without Losing Your Entire Paycheck: Aaaah, Costco. The samples, the hotdogs, and the fabulous deals…right? Jordan Page has spent years learning the ins and outs of shopping at Costco and will share how to shop warehouse stores and buying food in bulk WITHOUT spending too much or wasting anything. She will also share inside secrets handed down directly to her from Costco executives! Eating Healthy Without Going Broke! : Come learn the benefits of eating healthy, and how its is one of the best investments you can make for yourself. Ashley will teach you tips & tricks to maximize your food budget for healthy menus, and new ways to look at meal planning to incorporate healthy affordable ideas into your weekly rotations. Ashley Reeves: Is a mom, business owner, and active foodie blogger on Instagram (@amazon_ashley). She loves sharing her healthy tips, recipes and inspirational ideas online and has been featured on Good Morning America and ABC Nightline News. Again – to sign up go to Atly.com and get all 19 classes for just $25! Will the option to buy these tickets be available all 2015 as well or is there a deadline for buying online tickets? Will the online tickets be available for purchase all of 2015 as well, or is there a deadline for buying the online tickets? Thanks to both you and Melea for this awesome conference! I am a virtual attendee and I have watched 3 of the classes today and can’t wait to watch the rest. Such a fabulous variety of topics and some wonderful speakers. Thanks again for sharing your stories and knowledge with me!! Hey Jordan! Are these classes much like the atly classes yout and Bubba did (last year, I think it was)? or does MECCA offer more or?… also, since I had signed up for those classes,are they all still available to watch? 🙂 thanks for your time & everything you do!! I’m trying to access the classes but don’t want to click “Proceed to http://www.atly.com (unsafe)”. Is it me? I don’t know what to do. I have Norton Security Suite from Xfinity installed. Yep, it’s me, or my computer, since I could get on with my tablet.